Would you like us to handle the rent? •	Setting Rent- We knows how to set the right rent level to attract tenants to your property. They have an understanding of the market where the property is located and have looked at comparable properties in the area. •	Collecting Rent- We play the role of the enforcer. They ensure optimal cash flow by setting a date to collect rent each month and strictly enforcing •	Adjusting Rent- We can increase the rent by a fixed percentage each year, according to individual state and/or municipal law. They can also decrease the rent if they deem necessary. •	Insuring rent- Where collecting rent proves to be a major issue. Eg Property partially destroyed by fire. Yes or No? Would you like us to handle the tenants? 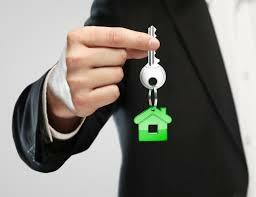 One of our main responsibilities is to manage tenants. We are involved in all capacities, from finding the tenants and dealing with complaints to initiating evictions. •	Finding Tenants- We are responsible for marketing the property to fill vacancies. We know where to advertise and what to include in the ads. We also understand what attracts tenants, so we can suggest making cosmetic improvements We will be responsible for sorting through the prospective tenant applications to find the tenant that is the best fit for your property. They have a consistent screening process, including running: •	Credit checks and criminal background checks, which can decrease your chances of being accused of discrimination. •	Handling Leases- We will be responsible for setting the length of the lease and making sure it has all the necessary provisions to protect the owner. This includes determining the amount of security deposit required. •	Handling Complaints/Emergencies- we will deal with maintenance requests, noise complaints and have the necessary contacts to handle emergency situations. •	Handling Move Outs-when a tenant moves out, the manager is responsible for inspecting the unit, checking for damages and determining what portion of the security deposit will be returned to the tenant. After move out, they are responsible for cleaning the unit, repairing any damages and finding a new tenant. •	Dealing With Evictions –when a tenant does not pay rent or otherwise breaches the terms of a lease, the property manager understands the proper way to file and move forward with an eviction. Yes or No? Then add a comment if desired. Would you like us to handle the Maintenance and Repairs? We will be responsible for the physical management of the property, including regular maintenance and emergency repairs. •	Maintenance- We will oversee preventative property maintenance to keep the property functioning in top condition. For example, to, exterminate, check for leaks, landscape, shovel snow and remove trash. This maintenance aims to keep current tenants happy and attract new tenants. •	Repairs-when there is an issue, we will attend to it. Yes or No? Then add a comment if desired. Would you like us to handle Supervision •	Other Employees- if there are other employees in the property, such as a concierge or security personnel, we can take responsibility for making sure they are doing their job. We can set their salaries and even fire them, if necessary. •	Vacant Properties- we can look after vacant properties to make sure that there has been no vandalism and to perform routine maintenance. We can also make sure contractors and other repairmen are completing their work in a timely manner. Yes or No? Then add a comment if desired. Would you like us to handle Managing the Budget/Maintaining Records We will be responsible for managing the budget for the building and maintaining all pertinent records. •	Managing Budget- the manager must operate within the set budget for the building. In certain emergency situations when the occupants (tenants) or physical structure (investment property) are in danger, they may use their discretion to order repairs or likewise without concern for the budget. •	Maintaining Records- the property manager should keep thorough records regarding the property. This should include all income and expenses; list of all inspections, signed leases, maintenance requests, any complaints, records of repairs, costs of repairs, maintenance costs, record of rent collection and insurance costs. Yes or No? Then add a comment if desired. Responsible for Taxes •	We can assist the property owner with understanding how to file taxes for the investment property. •	We can also file taxes for the property/properties. Yes or No? Then add a comment if desired.